If there's one thing I think we all need to make more time for, it's self-care. 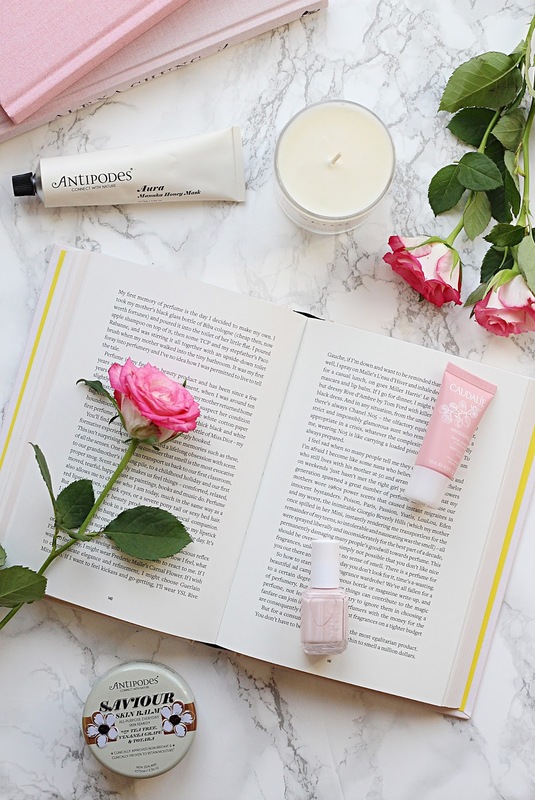 In the fast-paced world we're living in, with everyone striving to be successful, busy and constantly achieving, self-care is one thing that always seems to fall by the wayside. Even for those of us who aren't always on-the-go, finding the time to make self-care a priority is still a rare occurrence. Particularly if you struggle with mental health, which is often when self-care goes well and truly out of the window, I think it's so imperative to force yourself to take time to unwind and look after yourself. I'm definitely guilty of neglecting my self-care. I might spend my weekend watching Netflix, which I'm sure for some people would be classed as self-care, but for me it isn't. I'll become so ensconced in what I'm watching that I'll forget to look after myself. I'll forget to have a healthy lunch, forget to step outside and breathe in the fresh air and when the evening comes, forget to do my skincare properly. Sometimes, we need to sacrifice the things we enjoy doing to practise self-care, as odd as that might sound. Now, I will openly admit it: I really, really love a lie-in. Sleeping is one of my favourite things ever, and so when the weekend comes around and I get a chance to have an extra-long snooze, I usually do. However, I don't really think it does me or my mood any good at all. I often wake up feeling more tired than I would if I'd got up earlier, and my day ends up being wasted. This being the case, my first tip for self-care has got to be rising early. As hard as it might be (and trust me, I know) getting up earlier (even on the weekend!) can really do wonders for your wellbeing. I love having so much more of the day stretching out in front of me, and there's nothing better than a crisp walk in the autumn air early in the morning when the world around you is still sleeping. Try it - I promise you won't be disappointed. I am the queen of putting off exercise. I will literally come up with any excuse not to - I'm too tired, I have too much to do, the gym will be too busy... the list goes on. The funny thing is, once I've actually completed my workout (and sometimes, would you believe it, during my workout) I feel so good. They say exercise boosts your endorphins and I couldn't agree more - I just need to convince pre-workout me that this is the case! Whether it's taking your dog on an extra-long walk, hitting up the gym or even doing a little at-home workout, moving your body will definitely boost your self-care. I think I go into a little meltdown when my surroundings are a mess - I'm moody, stressed-out and rarely productive. This is why I think having an organised, tidy space to live in is so very important when it comes to self-care: you're never going to feel great if you're not happy with the environment you're in! So, I'd suggest giving your home a spring-clean, and look at ways to keep yourself more organised. A tidy house is a tidy mind, after all. If things are getting too much for you, almost as though there are too many tabs open in your head, get out a pen and paper and write it down. This is something I definitely need to do more often - I over-think everything and often have so many different things going on at the same time I feel a little bit all over the place. Writing down how you're feeling can be really, really helpful in helping you straighten things out in your mind. I definitely need to do it more often! Social media... ah, it brings us so much joy and yet causes so much pain too. When it comes to taking time for yourself and really, truly practising self-care, I think it's so important to put your phone away. Aimlessly scrolling through social media doesn't do anyone any favours (read my post on that here) and seeing pictures of Insta-famous girls with their so-called "perfect" lives isn't going to make anyone feel good. So, turn your phone off and relish your time spent away from the online world. It'll make you feel so much better - I promise! Okay, so I don't mean go and do a crazy £100 shopping spree round Primark, but more like taking the time to treat yourself to things when you know you deserve it. If you've been working your arse off at work, why not buy the Topshop bag you've been lusting after for months? If you're feeling tired and run-down and in need of a serious pamper, why not book a spa weekend with the girls? Even treating yourself to a meal out with your other half can work wonders. We need treats to get us by sometimes, and as long as we don't do it so often it loses all meaning, I definitely think it helps our self-care. So, I'm going to admit that I've only ever done this a couple of times in my life, but it's something I definitely want to try more of. There are tonnes of meditation apps out there to help you 'zone out' and have some serious chill time, which I definitely think we need more of in this 'go, go, go!' world. Headspace is an app I'm going to try and incorporate into my daily routine - it's all about meditation and mindfulness, and I know lots of people swear by it. Do you ever meditate? Let me know what your tips for self-care are!